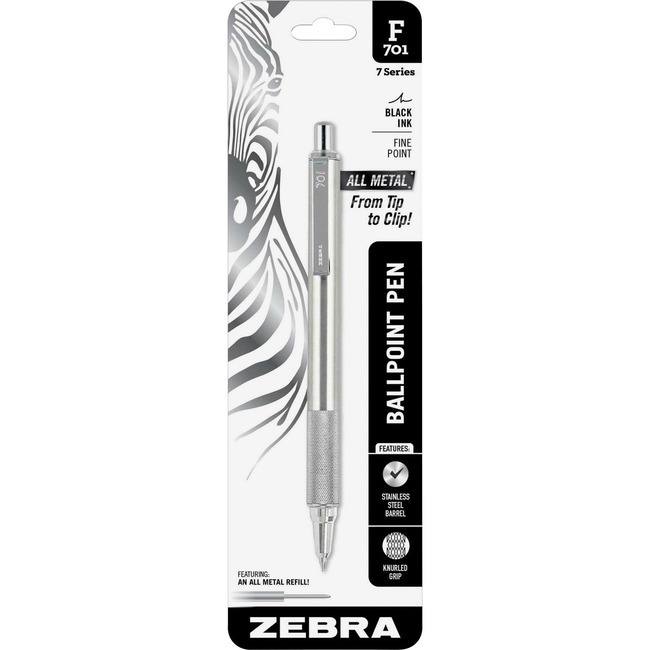 F-701 Retractable Ballpoint Pen is made of professional-grade stainless steel from tip to clip. Designed to prevent corrosion. Easy-to-hold knurled metal grip provides writing stability. Quiet plunger mechanism silences any clicking when you retract. 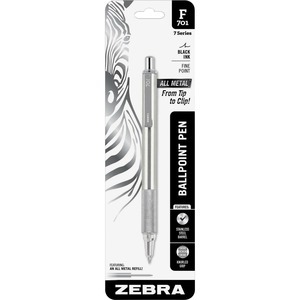 Refillable with Zebra F-Refill.